BISHKEK -- Security officials in Kyrgyzstan are warning about the continuing danger that extremist recruitment poses to the country's youth. The Ministry of Interior (MVD)'s 10th Main Administration, which focuses on counter-terrorism, noted major achievements in countering religious extremism, international terrorism, juvenile delinquency and crimes against minors in Chui Province, 24.kg reported January 12. Nonetheless, police have to step up these efforts since the methods used by extremists to influence citizens are improving, said Ulan Janybek uulu, head of the Chui Province branch of the MVD 10th Main Administration. One such method involves extremist recruiters duping Kyrgyz migrants into going to Turkey for highly paid jobs that do not exist. "They promise wages of up to $1,000 per month [68,760 KGS] for applicants willing to travel to Turkey and work as housekeepers, maids, nurses, kitchen workers and drivers," State National Security Committee (GKNB) spokesman Ulanbek Jalildinov told Caravanserai in November. In reality, job seekers find themselves trapped in Turkey, after which "Islamic State of Iraq and the Levant" (ISIL) extremists smuggle them into Syria, he said. Dilmurat Abduvoitov, 21, of Kara-Suu District, Osh Province, was looking for work when he was recruited by extremists online, according to police. His mother, Nasiba Abduvoitova, said a relative working in South Korea invited her son to visit and said he would help him find work at an automotive assembly plant. "We bought him a plane ticket from Tashkent to Seoul," Abduvoitova told Caravanserai on January 15. "We said our goodbyes ... and we haven't seen him since he entered the Tashkent airport ... on December 9, 2015." When Abduvoitov never arrived in Seoul, the family thought he might have been detained over problems with his visa or passport, Abduvoitova said. They never suspected that recruiters duped him into absconding to Turkey -- a common starting point for the Syria-bound. Kyrgyz police discovered that Abduvoitov had sneaked out of the Tashkent airport, returned to Osh, and flew to Istanbul the next day without his family knowing. Osh has suffered greatly from the depredations of extremist recruiters, authorities say, vowing to put an end to such schemes. Between 2010 and 2016, 431 residents of Osh Province joined the militancy in Syria, according to official estimates. In 2016, police recorded 64 incidents of extremism in Osh, which led to 31 criminal cases, MVD spokesman Jenishbek Ashirbayev told Caravanserai. "We have no intention of being complacent with our progress [in fighting extremist recruitment]," he said. "We will continue to engage in youth outreach events." "As one example, we conducted preventive activities to keep radical ideas from spreading among young adults in several villages in Nookat District, Osh Province, on December 24," he said. "The local education department teamed up with district police to organise the rally, which they called 'We Are Against Terrorism and Religious Extremism.'" Rally organisers involved high school students in the march, and they also set up competitions in schools to select drawings and posters that best depicted their disdain for extremism, Ashirbayev said. 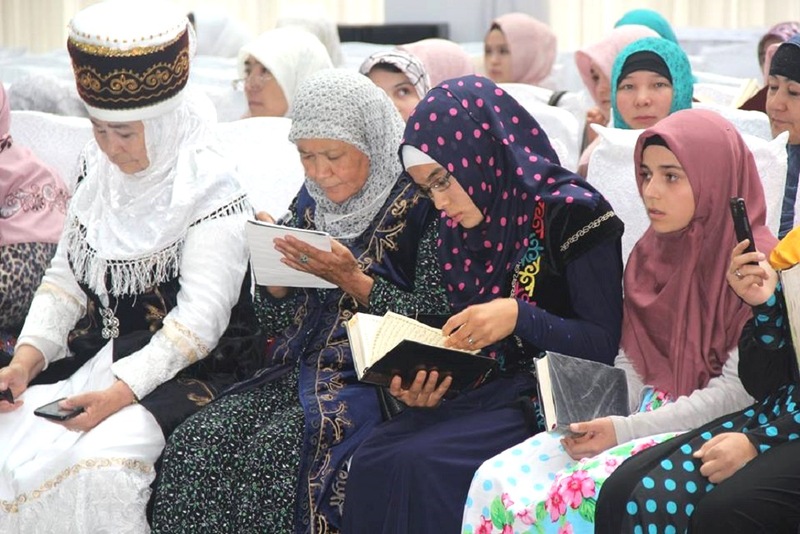 "We ... should understand that concepts such as extremism and terrorism are incompatible with both Islam and the constitutional order of our country," Nookat District Prosecutor Baymurza Jaanbayev said during a speech at the rally. Radicals who cite Islam to rationalise their actions threaten Kyrgyzstan's public safety, constitution and civil liberties, he said. "We need to be able to distinguish Islam from pseudo-Islamic movements," Karimberdy haji Matkalykov, an imam from Nookat District, told Caravanserai. "The religious need to learn constantly about fighting extremism and terrorism." Extremists will never stop devising new methods to lure in youth, since everyone knows by now that their promises distort Islamic doctrine, he said. "The safety of our children is in our hands, and their futures depend first and foremost on us," Nookat schoolteacher Buajar Abdullayeva told Caravanserai. "Terrorism is like a drug ... it kills if you don't catch it in time." 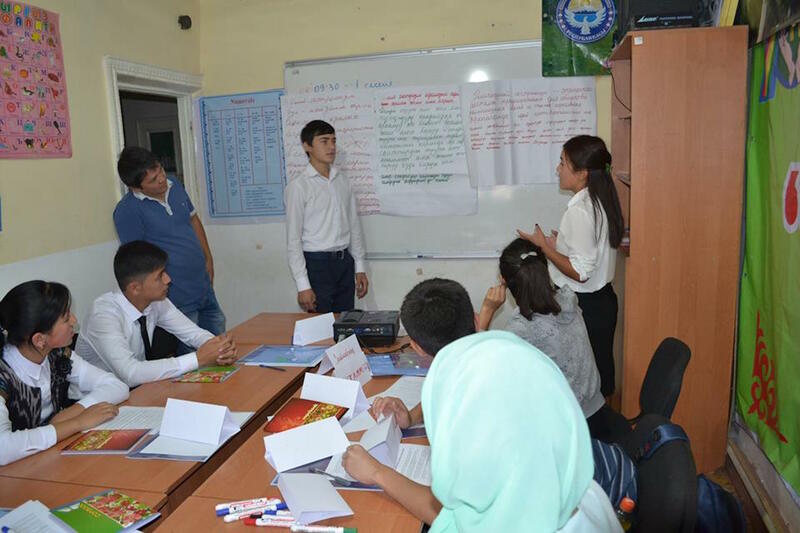 "Preventive events help us fight radical ideas, since the internet and social media provoke youth," Raykhan Madumarova, a 10th-grader at Khamza High School in Nookat District, told Caravanserai. Authorities run a public awareness campaign at schools in different provinces as part of 'Peace Dialogue' project to fight extremism and terrorism. 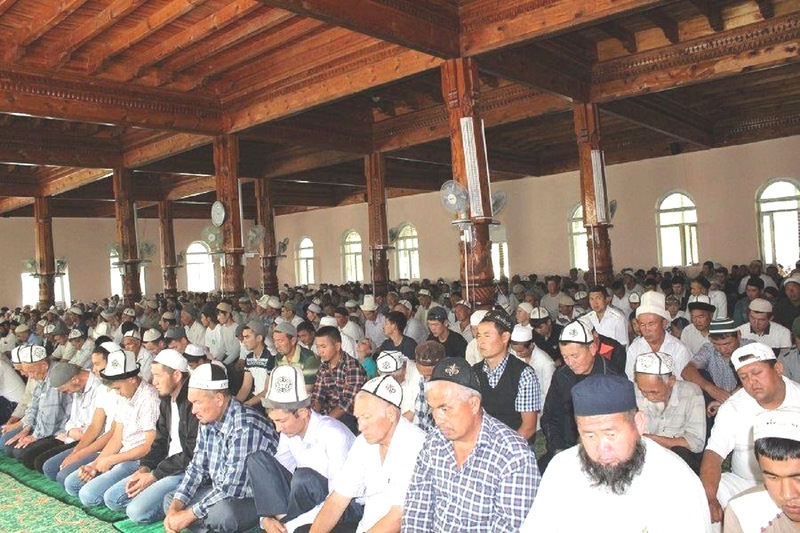 Fewer and fewer Kyrgyz are falling for extremist propaganda. Kyrgyz law enforcement is aware of a courtship racket that exists solely to dupe Kyrgyz women into going to Syria.